Basic home or business security is not enough to stop the intruders from breaking into your property. With the increase of burglary and theft incidence, it is essential to enforce the security in the best possible way. This is where profile cylinder locks come to your protection. The profile cylinder locks or Euro-Profile locks are made out of the toughest metals. Thus, it make the most secure and durable locking system. The edge less and seamless design of the locks makes it harder for the intruders to break in. Installation of profile cylinder lock requires expertise and skills and San Antonio Car Key Pros have it all to offer you the optimum service. If you live in San Antonio or nearby areas, we can help you out with profile cylinder lock installation and repair. When looking for a professional profile cylinder lock installation or repair service, San Antonio makes the best choice. We not only install profile cylinder locks but also have the expertise to repair and rekey existing cylinder locks. Our professionalism, quality work and efficiency made us earn prized reputation. We will be there to serve you no matter what time of the week or what time of the day it is. Our well-trained technicians will reach you within 30 minutes and promptly perform the installation or repair. With us, you don’t have to worry about the hidden charges as we offer upfront pricing so that you know exactly what it will cost before we begin the service. Being a licensed, bonded and insured locksmith company, we are reliable and professional. 5+ years of experience in the industry enable us to earn 100% customer satisfaction with the best residential and commercial locksmith service. You will not want compromise when it comes to the safety of your home. This is why profile cylinder locks are the first choice of homeowners. You never know when your home will become the next target of a burglar and with standard security lock, you make it even easier for them to invade your place. So, if you have not installed a high-quality profile cylinder lock in your home, it is high time to make it installed. With San Antonio Car Key Pros, the installation process can be easier and hassle-free for you. Our expert will reach your place asses your needs and will recommend the best profile cylinder lock for your home. And if you have already installed the lock in your home but it is not functioning properly, we can also repair it for you. 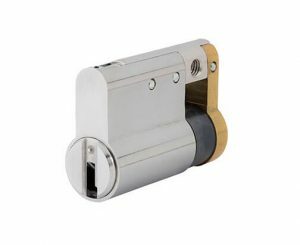 Commercial properties with glass or steel doors must have a profile cylinder locks to enhance the safety. Whether you need to install a fresh profile cylinder lock or want us to repair the existing one in your commercial property, we can do it for you. We provide complete profile cylinder lock installation and repair services for all commercial properties, and if you are interested in replacing the lock, we can also help you with keyless locks, deadbolt locks and mortise locks. As soon as we get your call, we dispatch our expert technician to your place. Our pros will reach you within 30 minutes and promptly install or repair the profile cylinder locks in no time. With us, you will get upfront pricing, so you will know exactly how much the job will cost before we start working. Day or night, we are available round the clock, and you can contact us anytime you need a profile cylinder lock installation and repair service. In addition to profile cylinder lock, we also provide services like key repair, car fob replacement, lockout assistance, and much more. Give us a call now, and our pro will be on their way in less than 30 minutes. Professional Profile Cylinder Locks Installation And Repair https://carkeyssanantoniotx.com/lock-service/profile-cylinder-locks/ 4.2/5 based upon 12 reviews.